We’re thrilled to announce that we are attending Enterprise Connect once again! This year, besides HELLO 2 and HELLO Touch, we are going to introduce a new product called HELLO 2 plus AI based on Qualcomm Snapdragon chipset. We have designed and developed a next-generation all-in-one communication device called HELLO 2 plus AI that is super easy to use, affordable, and a great fit for anyone looking for a simple solution for huddle rooms and traditional conference rooms of all sizes. 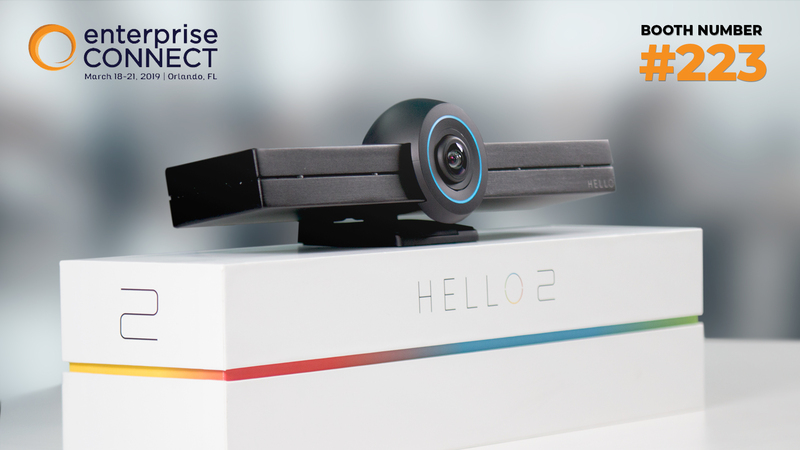 We’ve also designed HELLO 2 to be a plug and play so that we can support any video platform including Microsoft Teams, Skype for Business, Zoom, Google Meet, BlueJeans, GoToMeetings, Vidyo, and many more. 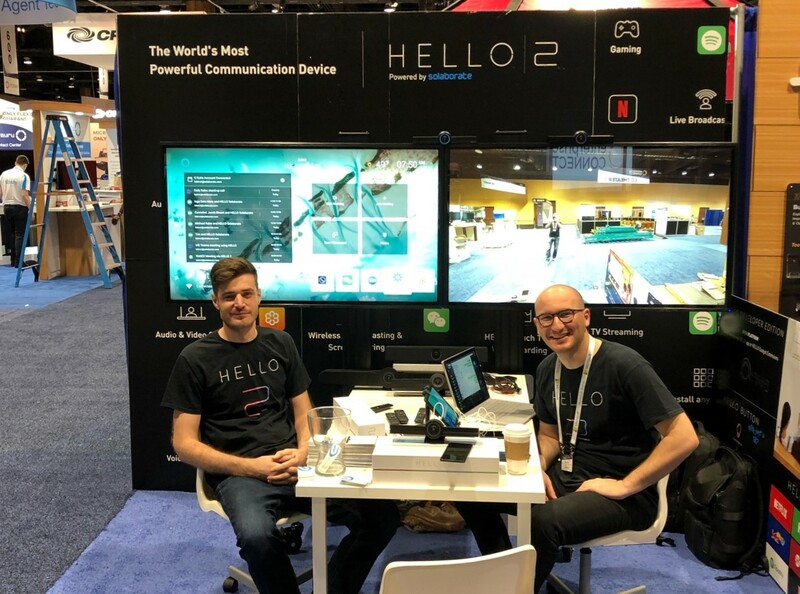 With this new version of all-in-one HELLO 2 plus AI based on Qualcomm Snapdragon chipset, we are aiming to bring a whole new dimension to Unified Communications. We also plan to showcase some of the most powerful AI use cases for Unified Communications while at Enterprise Connect. If you are attending the event this year and would like to meet with our team and CEO, come visit our HELLO Solaborate Booth #223 at Enterprise Connect. We would be more than happy to show you a live demo of all HELLO 2 products and answer any questions you might have. Hope to see you all at Enterprise Connect 2019!